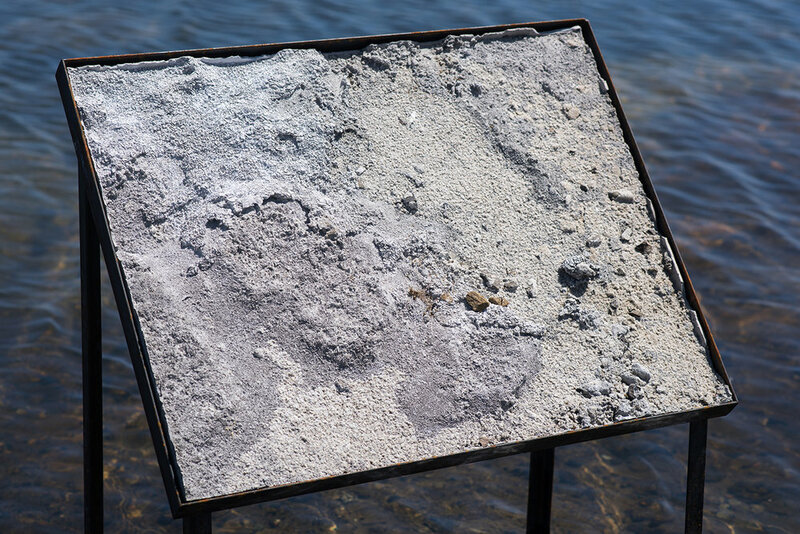 Repurposed from its former life on the floor of an indoor gallery, this cement cast was temporarily installed at the site of its origin at Bedwell Bayfront Park. Eventually the water level would receded to reveal a similar salt crystal texture below the cast. A welded steel support mimics other nearby park signage, allowing the cast to serve as a tactile simulacrum of the landscape for park visitors. 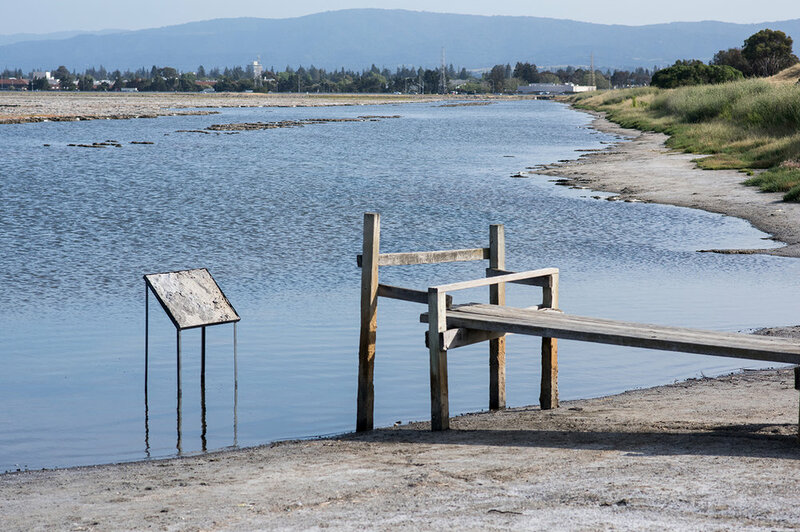 As organizations are now in the process of restoring the salt ponds to their former tidal marsh environments, I intended to capture the physical manifestation of the relationship between humans and the local environment, conservation and industrial progress, intention and accident. Signs of Seasonal Depression installed at the former Hayes Valley Farm in San Francisco for Hayes Valley Art Works' inaugural exhibition "New Quarters". For 1 year, HVAW has taken over this former farm space slated for construction of affordable housing. The other half of the farm was turned into luxury housing pictured here across the alley. Like the salt ponds from which the sculptures were cast, the soil that forms Hayes Valley Farm is subject to development, exploitation, displacement, and renewal. As a tactile snapshot of adapting landscapes, this piece may remind us to consider the momentary iterations of an ongoing performance between ourselves our environment.